San Chelsea, with it's quiet and peaceful atmosphere and landscaped gardens facing the ocean, offers you the best in fully self contained luxury 2&3 bedroom Holiday apartments. Across the road to the surf and enjoy a quiet stroll or an invigorating swim before returning to relax beside the pool or spa. Dine at the many superb restaurants and bistros, or cook up your own BBQ under cover in our cabana. 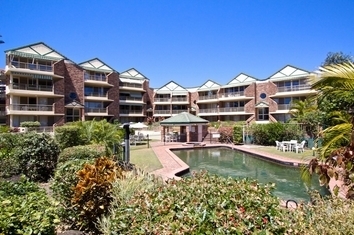 Just minutes from, Coolangatta and the licensed clubs of Tweed Heads. Golf and Bowls clubs are only a minutes away and offer excellent facilities for all visitors. Cruise the waterways of the Tweed River or thrill to the excitement of Dreamworld, Sea World, Movie World and Wet and Wild or drop into Currumbin Sanctuary and cuddle a Koala. Feeling a bit more energetic then hit a few sets of tennis in our court,before enjoying a cool refreshing drink. 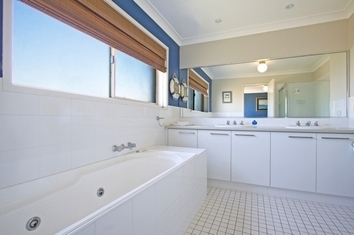 For further details see www.sanchelsea.com, including virtual tours. Queen bed with ensuite and 4 singles. Children are welcomed. Cot and/or extra bed hire can be arranged. Please contact Carolyn 0755363377 for details. Secured underground car parking. 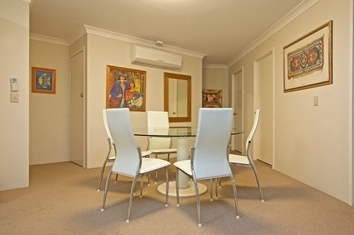 2 bedroom units have 1 car park available. If a second car is needed to be parked underground please ask reception for available space. 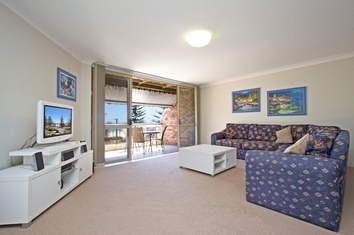 Three bedroom Apartments have 2 Car parks. 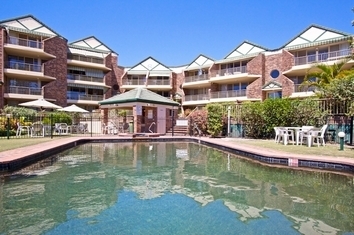 San Chelsea is located at 146 Pacific Parade with easy access to the Gold Coast and Pacific Highway. 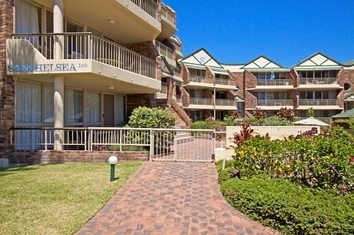 San Chelsea being on the southern end of the Gold Coast allows easy day tours of the Tweed Valley and the magnificent Tweed River, while still in easy reach of the night life at Surfers Paradise. 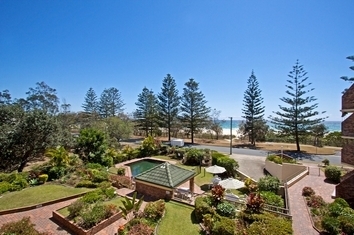 Take in the spectacular views on your holiday, from Coolangatta to Surfers Paradise. The Gold Coast offers as much or as little to do as you like. Relax on your balcony with a cocktail and watch the sun dance on the beach and ocean. 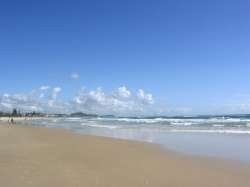 Or take a walk on the Gold Coasts famous wide sandy beaches. Enjoy the thrill and excitement of the theme parks Dreamworld, Movieworld, Seaworld and Wet n Wild. Take in a show or have a bet at the famous Jupiters Casino at Broadbeach. Enjoy some of natures wonders at the Currumbin Bird Sanctuary or go inland to the beautiful rainforest in the Gold Coast hinterland. Whether you have your own transport or would like to take a day tour the friendly staff at San Chelsea can help you with your every holiday need.